That kind of talk turns my stomach now. As if I could do the right thing and the wrong was then dismissed. There is a young man who might say otherwise. I know I do. Why do I still grieve this much if the wrong was made right? I have felt the need to show people I am better than I was when I did that one sin. I think people like to hear that sometimes. It makes them feel more comfortable. It makes me more acceptable. I think when I focus on that one sin and call it out like a snake-charming preacher, I reinforce this idea in my mind. I was bad. I am better now. And I need to be. I need to be better or what in the world did I do that for? If I’m not better than what does that say about God? I’m so responsible for Him, right? There have been times when I have felt that way. A lot of times. It’s exhausting. I’m exhausted. Why do we preach ‘CHOOSE LIFE’ and then, make women facing unplanned pregnancy pay for their choice of life? I read a quote last week that said, “I would rather take my abortion to God, than my unplanned pregnancy to my church.” Friends, I get that. That was me, and this is grievous. Not every church is like that. I was a part of a church in Charlotte that embraced me, my story and my process. So, it’s not a blanket statement by me, but I get where she is coming from. I feel like the Church has suggested adoption as the end all, be all in unplanned pregnancy, and I wonder why? Why is it better to place than to parent as a single person? Is it because single parents struggle? Does that make it worse than adoption? Do you think birthparents don’t struggle? Is God not in the struggle? And if so, then how do we determine which woman should struggle one way and which should struggle another? Maybe I’m just tired of trying to justify my actions. Maybe I’m just tired of trying to make up for something that I did when I was so young, so lost. Here’s the thing: I don’t justify myself, and therein lies the problem. I never can justify myself, and I never will. 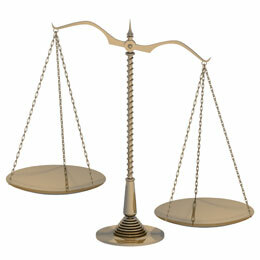 I have been trying to balance a scale that I was never meant to be on. I have been applauded for supposedly doing so. People celebrate my actions, like I did something redemptive. I wonder if my son thinks so? I’m not saying I doubt my decision. I don’t. I’m just saying when it comes to unplanned pregnancy, let’s stop pretending like we have the answer and that one answer is adoption. Let’s stop selling it like, “There are so many infertile couples out there.” I doubt these sweet couples want their infertility flashed like a car commercial. It’s hard for me because I can’t disconnect the sacrifice from the selfishness. It’s two sides of the same tree, good and evil. I need something different than this. I need something other. The truth of my redemption being only in Christ relieves me, though I admit it is still a challenge to articulate that inside of my adoption process. I know other birthmoms who feel the same way. If these birthmoms are not rooted in the goodness of God, if they don’t know the saving power of the Cross and the newness of Life found in Christ, they may feel like I did for years, responsible for making up for that one sin. Here is my encouragement to you, friends, and to you, Church. When you encounter a birthmother/first mother/biological mother brave enough to expose herself to you, please, don’t condemn or commend her for her act of placement. Please, please, don’t pat her on the back. Take it from me, it is awkward for her at best and it only reinforces the lie that she can somehow do enough good to abolish that one sin. Instead, offer her enough love and freedom to talk about it how she wants to, feel how she is feeling, and be where she is at in the process. He didn’t clothe that woman, and you don’t have to either. He didn’t clothe her because that is not what she needed. He gave her acceptance, forgiveness, and grace. And it wasn’t because He had to; He gave those things because that is who He is. There is no such thing as reluctant grace, that’s simply masked pride. If you are in Christ, you can walk in acceptance, forgiveness and grace. You can because He does. Take courage, friends. Jesus’ action on the Cross justifies any woman who is in Him, even if she is facing (or has faced) an unplanned pregnancy. Jesus is enough, and Jesus is who she needs. Thank you, Jill! Love you, friend.